Hearing loss may be something students experience from birth, a sudden onset due to health problems or a gradual issue, it may be short term or have permanent implications for the student. Recently I became aware of a student who had temporarily lost her hearing at 4 years of age. She started school with confidence but soon dropped behind her peers’, due to nobody being aware she was unable to hear in one ear and had partial hearing in the other. Reading was proving to be an absolute rotten experience as she struggled with her phonics due to her incapacity to hear what was being said to her, she tried exceedingly hard but her enunciation of words gave her teachers an indication of hearing difficulties. This was confirmed by a routine hearing test carried out by the school nurse. Hearing difficulties and loss will be the obvious priority for any young student, but they may also mask a reading difficulty, such as dyslexia. The early years programme teaches reading by phonics! With hearing loss, you may very well expect to see the student struggling with learning to read phonically; however, this can also be an early sign of dyslexic tendencies. Once the hearing loss has been diagnosed and suitably treated, as with the little girl, the next step was to overcome having fallen behind with reading and spelling. When the little girl reached 7 years of age a dyslexic screening test was carried out and indicated overwhelming dyslexic tendencies. The little girl and her school where asked to be part of a study looking at the use of the C-Pen Reader to support her reading difficulties alongside other strategies. The flexibility and support of her teachers enabled her to show confidence and independence in using the C-Pen Reader in her every day studies. Her teachers commented how important it was to explore technology with dyslexic students and also commented on how this would work for a student with hearing aids, the girl’s history of hearing loss was questioned and therefore would the C-Pen Reader be compatible with hearing aids? The C-Pen Reader and Exam Reader are compatible for those with hearing aids via a simple device called HEARING HOOKS. Hearing hooks are currently promoted for use with SmartPhones , Netbooks etc, however do not be put off by the lack of mention of their most important compatible device, the C-Pen Reader and Exam Reader! Hearing hooks will enable the hearing loss student with reading difficulties to have use of a device which promotes independent learning within school and during those important exams. Hearing hooks, dual or singular, fit into the C-Pen Reader and/or Exam Reader exactly as they would with the supplied ear phones, via the 3.5mm jack plug. Giving the student the freedom to have the sound played into both ears or into one. A return to the audiologist department, who fitted the student with their hearing aids, may be required to ‘tune in’ to receiving the sound from hearing hooks but once this has been achieved there should be no other barriers! 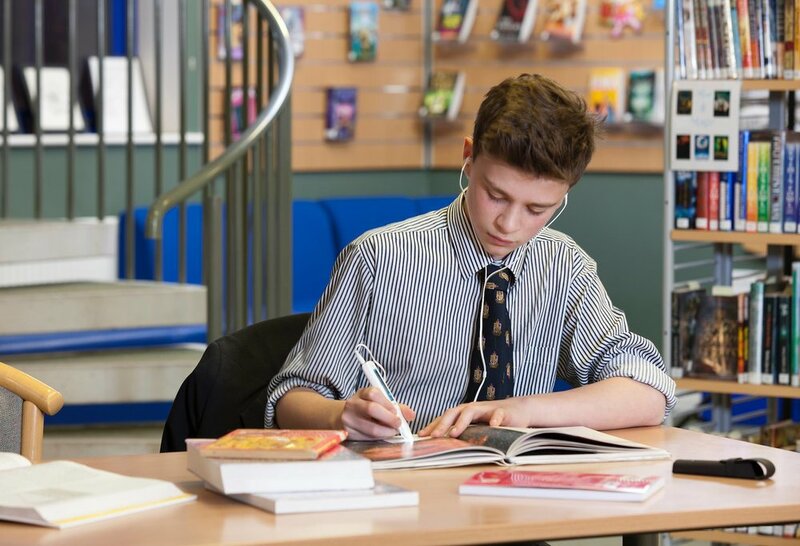 Hearing hooks are a very reasonable cost and worth having available to support students who wish to utilise reading pens, in class and in their examinations. Breaking down barriers and promoting access to learning is a regular supportive element within all schools today, those leading by the front are not only seeing the emotional well-being of their students rapidly improving, which in turn impacts on educational achievements leading to increased to academic success for the school, but also with the knowledge they are equipping their students to become confident adults; what more could you want!